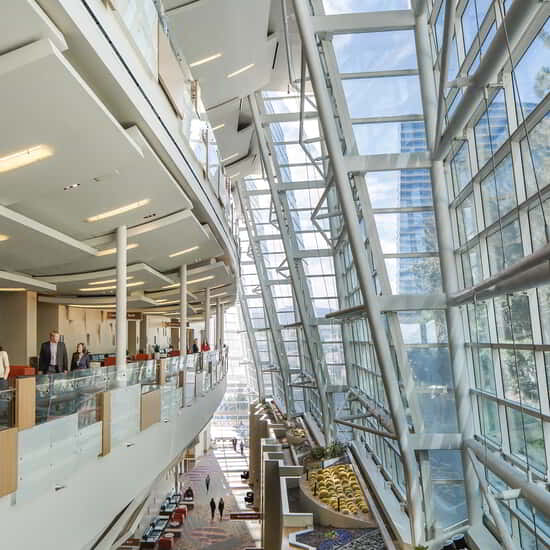 Take care of all your professional needs in a convenient location at the entrance to the convention facility. Our Business Service Center is equipped with Internet, office services and supplies, communication rentals, shipping and receiving, and rental of private mini-suites. Once the packages are received and processed at the Business Services Center, your room will be messaged letting you know they are available for pick-up or delivery to your room. 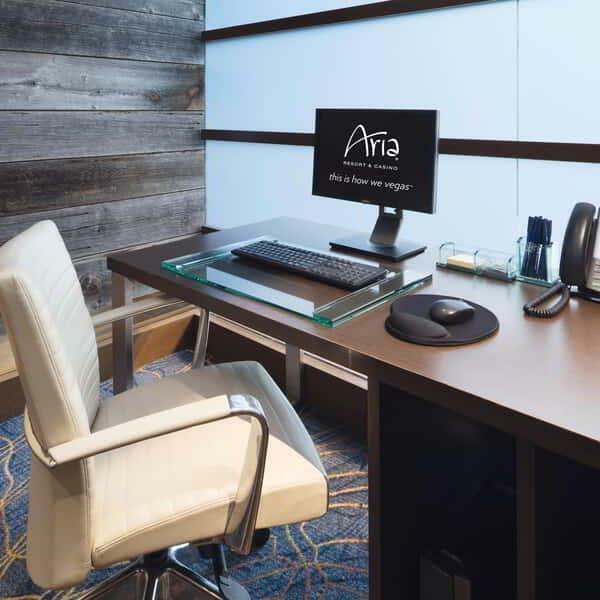 If your packages arrive before you check-in to ARIA, the Business Center will accept and store them for 14 days prior to your check-in date. If the receiving date falls before this specified period and there is no record of a guest reservation in the Hotel system, then the package is liable to be returned to the sender. UPS and FedEx are our preferred couriers since they deliver to the hotel Monday – Saturday. USPS is also a valid courier, however their Express Service is not guaranteed because parcels are delivered to a Las Vegas sorting facility before they are brought to the hotel. This can delay USPS packages by up to 3 days. Please be advised that there is a handling charge for the packages based on weight. The handling charge includes receiving, processing and storing of your packages, as well as ensuring the delivery of the packages to you. Please contact the Business Services Center for pricing. Alcohol Policy – alcohol shipments are not permitted to be sent to the hotel from liquor distributors outside of the state of Nevada due to taxation regulations and are subject to refusal. Please call the Business Center to make alternative arrangements. Perishable Items – please contact the Business Center prior to shipping any perishable items to ensure the item is stored properly. 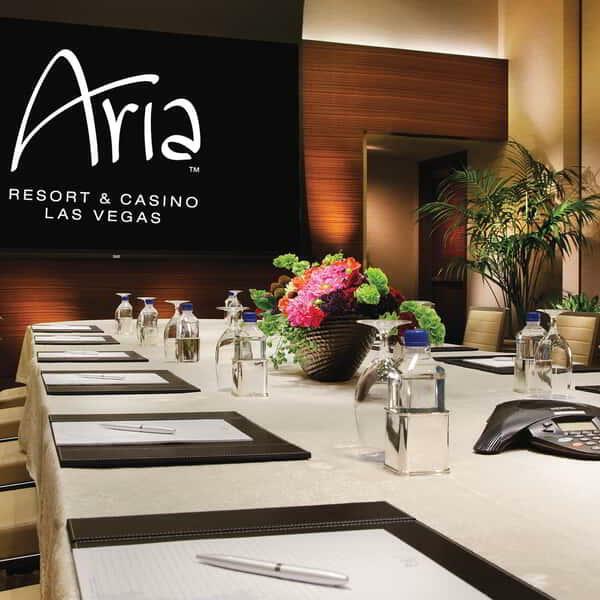 Receiving Packages – If your package is not retrieved two weeks after you check out of the hotel a return to sender label must be provided to BSC@aria.com or your package will be donated to charity. All rentals require at least 48-hour advance notification and are available at daily and weekly rates. Our in-house technical services department is here to make sure all your presentations go smoothly. These skilled, tech-savvy managers can assist with every technology need, from audio/visual equipment to full scale event production. There is no display or presentation element that our expert team can’t execute flawlessly. 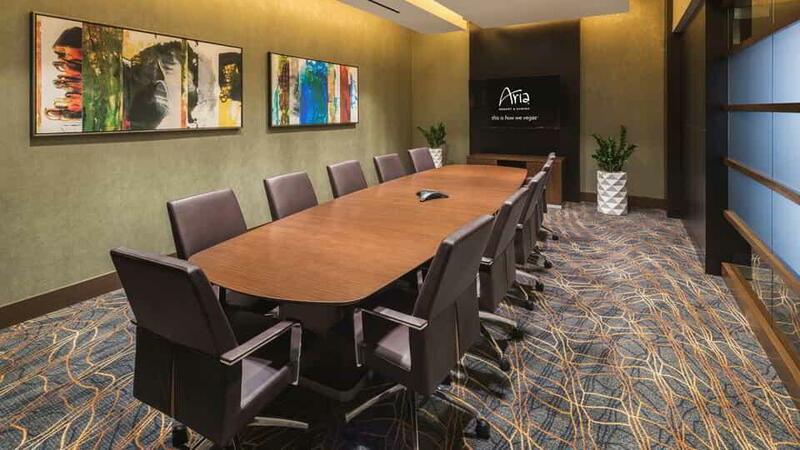 Big or small, we provide space to exceed your every expectation—from modern comfortable amenities, to state-of-the-art technology and equipment, let us help you make your meeting as productive as possible. 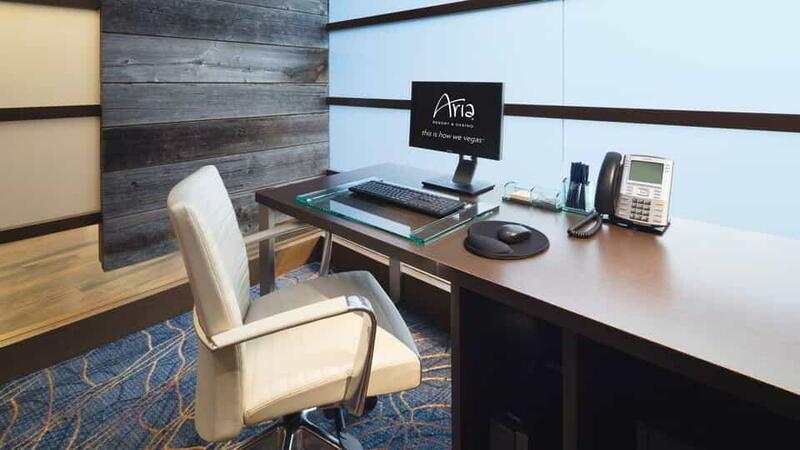 Office Suite rentals include desktop computer with Microsoft Office and Internet access. Black and white printing is also included. For guest’s that need to store their boxes, crates, pallets, etc. 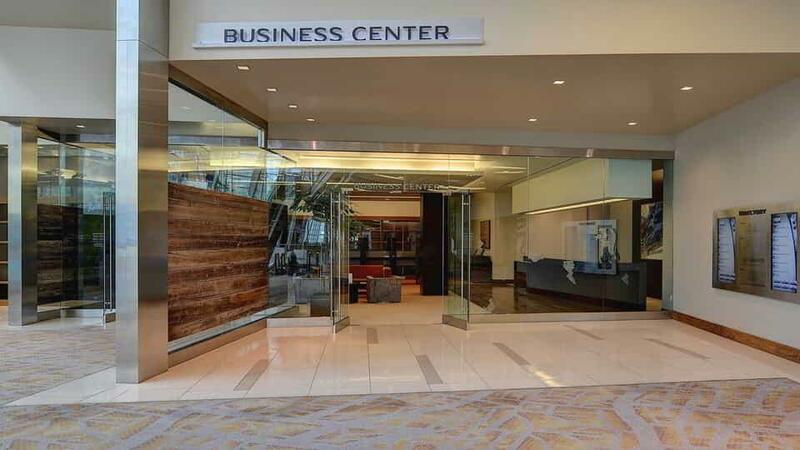 during the duration of their stay or event, the Business Center can provide the convenience of storing your items. 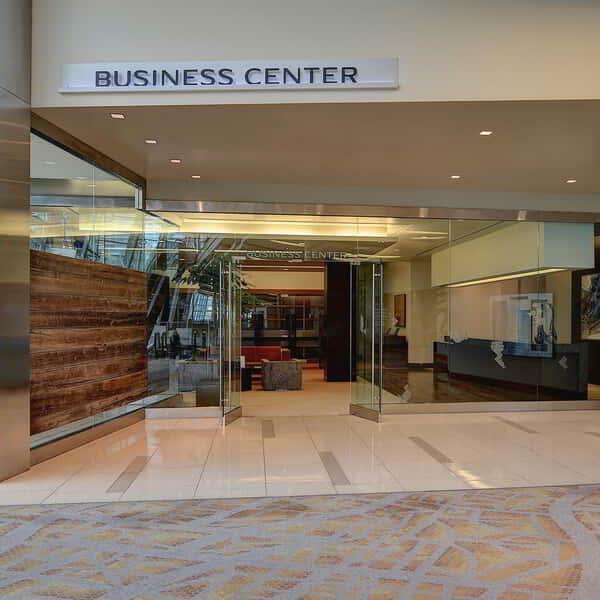 Conveniently located at the entrance to the convention facility, the Business Services Center is available to take care of all professional needs. The Bluethorn Meeting Rooms are located on Level One and are ideal breakout rooms or office spaces to complement the large ballrooms. 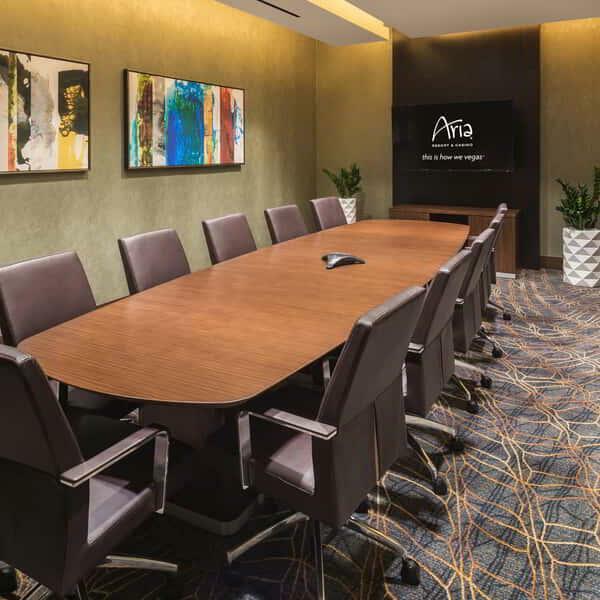 The meeting rooms range in size from 800 to 3,148 square feet, and each comes equipped with the technology needed to make presentations a breeze. 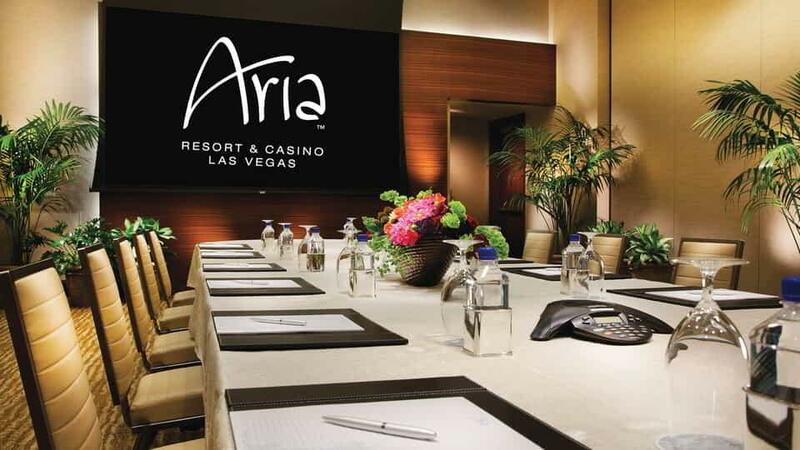 Big or small, we provide space to exceed your every expectation - from modern comfortable amenities, to state-of-the-art technology and equipment, let us help you make your meeting as productive as possible.